I hate to say it, but I did. I told you so. Eurextrade, the Ponzi scheme that has stolen money from many, many people in Botswana appears to have collapsed. Certainly their web site has disappeared and there is speculation throughout the “High Yield Investment Program” community that this particular scheme has finally gone down. Nobody should be surprised. Eurextrade was one of the best examples I’ve ever seen of a blindingly obvious Ponzi scheme. That explains exactly what happened to Eurextrade in the last couple of weeks. Despite many people “investing” their money in the scheme, and despite their best efforts to recruit other victims, something new emerged. Skepticism. More and more people were beginning to suspect that the scheme they had joined was suspicious. Others when they were approached and invited to join though the returns were too good to be true. That should have been obvious. Eurextrade’s web site said that “investors” could make “up to 2.9% daily”. You might think that surely nobody can believe that? Well, some did, a lot of them. Like a pyramid scheme, the number of remaining potential victims eventually dried up. The only people left were those who had read the warnings on the web and in newspapers like Mmegi and those who were naturally skeptical. I met a guy recently who told me who’d been approached at Nando’s by two different people who accosted him and tried their best to recruit him into the Eurextrade. Luckily he’s a skeptic, and also works in the financial arena so he knows a bit about investments. He told them where they could put their Ponzi scheme but I thought this was a good indication of how desperate and how suspicious Eurextrade and its recruiters are. You know a scheme is getting desperate when they’re recruiting in takeaways instead of offices with boardrooms, landlines, fax machines and real email addresses. You can safely judge any investment scheme by the venues they choose to recruit new victims. The other clue was Eurextrade’s curious reluctance to reveal how they made the returns they offered. They claimed that they used “short term, technical analysis based positions” and “longer term, global events driven long term profitable projections” to make the mythical 2.9% every day. You don’t have to be a financial expert to know that they were talking hogwash. Above all, there were the unbelievable claims of such high returns. If it was possible to make 2.9% a day then wouldn’t banks be doing it? Wouldn’t pension schemes, orthodox investment schemes, even Governments like those of bankrupt countries like Greece be doing it? The fact that they’re not is evidence enough. The sad news, now that the scheme appears to have collapsed, is that a lot of people will have lost a lot of money. I haven’t been keeping precise track but of the people I’ve spoken to, and those I’ve heard about, I know of at least P5 million that’s been “invested” in Eurextrade. That’s just the few people I’ve encountered. I suspect the total is many, many times more than that. Here’s a difficult question. Why were we so gullible? Why did the people of Botswana fall for this is such large numbers? Why, above all, was this particular scam focused on us? You don’t think this was an international scam, do you? No, this was focused specifically on Batswana. Before it disappeared Eurextrade’s web site gave a list of contacts if you wanted to join. Of the 60 contacts they published almost half of them had phone numbers beginning with “+267”. Even the contacts for South African and Zimbabwe were Botswana cellphone numbers. So why us? Why were we the targets of these scammers? The bad news is that I believe that, as a nation, we have a larger than normal proportion of gullible people. We’re not a stupid nation, we’re well-educated and well-resourced but I suspect that our relatively short business history is to blame. We’ve only been trading, banking and investing for a few decades and that shows in our investment maturity. Or lack of it. So what’s the lesson from the Eurextrade collapse? We need to be skeptical about many issues. So-called “alternative” health products, new belief systems, visiting management and leadership experts and just as importantly, anyone who wants you to put your savings in strange places. We need to be very skeptical about all of them. And the victims of Eurextrade? I’m sorry, but your greed for enormous returns blinded you and your attempts to recruit other people lost you any sympathy I might have had. You were warned. Since writing this it appears that Eurextrade is back again using a different web site. It looks very similar but there are some interesting changes. Some of the text is new and other bits have been taken word-for-word from other web sites but there’s no mention of why they disappeared and reappeared with a different address. This isn’t the first time they’ve done this and you can rest assured it’s a sign of something suspicious. We’ll keep you posted! This week’s a little different. Both these stories are failures. Readers asked us to intervene, we did our best but unfortunately in both cases we haven’t yet got things fixed. 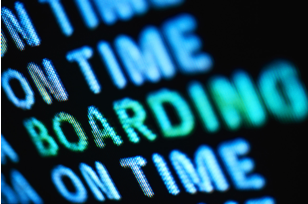 A reader booked an extensive long-distance international trip for himself and his children with what he thought was a reputable travel agent, someone who’s been in the travel business for years, someone he thought he could trust. A small fortune later and he had the tickets. They flew successfully to Johannesburg but just as they were boarding their flight to the next stage of their journey the airline staff pointed at one of the kids and said she couldn’t fly. Although he had an electronic ticket for her, it turns out it hadn’t actually been paid for. He and the other kid were OK to fly, just not her. Needless to say he wasn’t prepared to abandon his kid in a foreign country and had to return home to Botswana. Back home he found that none of the subsequent flights had been paid for either. Barely a fifth of the money he had paid the travel agent had actually been paid to the airlines. Understandably he was furious. His once-in-a-lifetime family holiday had been ruined. Given that he’d also booked hotels and adventures for the kids he had no choice but the buy all of the tickets again and fly a week later than originally planned. He’s lost about P70,000. The travel agent at least had the decency not to hide but he hasn’t had the decency to repay the fortune he stole from his victim. So far it’s just been a long list of excuses, failed promises and stalling. He’s made endless promises to his victim to make amends and he’s been giving me the same excuses for the last month. All we’ve both got are endless promises of a solution “on Monday”, that “funds are coming” and “I am working on it”. But nothing remotely like a solution. The sad, frustrating and annoying thing is that isn’t an isolated incident. Another reader contacted us with an identical story about the same travel agent. He’d taken her money and provided worthless paperwork, in her case leaving her stranded without tickets on the far side of the planet. According to people I know in the travel business this isn’t the first time he’s done this and his previous travel business collapsed because he’d done this to other customers. So what possibilities are left? Just one. This travel agent is going to get a free ticket to court. Update: The travel agent is Travel Options, currently based at Molapo Crossing in Gaborone. A reader hired a man she believed to be a specialist to construct her brand new swimming pool. The total cost was to be P48,000. The deal was to be that she would pay him 50% to get things moving, the balance when he was completed. Shortly afterwards he begged her for another P10,000 to keep the project moving. She’d now paid him P34,000, P14,000 left to be paid when she could swim. Then things stopped. All she has at the moment is a large hole in her garden full of concrete. No tiling, no pool pump, no family occasions around the pool. And no answer when she called him to find out what was happening. I invited both the customer and the pool man to our office to talk this through. Both turned up, we sat, we chatted, everything was calm and reasonable. He confessed that the money she’s already given him has gone on other things and he’s now short of cash. But as she and I pointed out, that’s his fault, not hers. Nevertheless we agreed that the customer would buy the remaining materials herself with the money she has left and the pool man and his team would start work again a couple of days later. We all shook hands and parted on reasonable terms. Shame it didn’t work out. He let her down again and simply didn’t turn up to get on with the work. She’s now left with a pile of materials and a large hole in the ground. This guy is just untrustworthy, unreliable and incompetent, the sort that makes false promises and fails to honor his word. His problem is that there are very few options left other than legal action. He’s in a hole larger than the one he dug for his customer. A great big legal hole. Here’s a free tip for stores, suppliers and in fact anyone who sells things. Don’t call your customers liars. It’s a bad move. In the past I’ve written about a scheme calling itself Three Link Connection that people seem to be falling for across the country. The basic idea that this scheme sells is “arbitrage”. That’s a fancy way of saying you buying something cheap in one place so you can sell it at a higher price somewhere else. That’s an old business trick and there’s nothing inherently wrong with it. Plenty of companies make money that way, particularly when they deal with emerging markets like China with their massive, cheaply-employed workforce. They make things cheaply that are sold at a much higher price elsewhere. I’ll let other people describe what actually happened instead. These are taken word-for-word from other messages we’ve received. Three Link Connection is a scam, a fraud, a deception. They take your money, pretend they’re going to invest it in cheap Chinese products and then come up with endless excuses about why you’re not getting your money back. This is nothing new of course. A very similar scam calling itself Young Star Investments operated in South Africa and in Uganda a few years ago. It was the same story and the same sort of victims. In fact there’s a connection between Young Star Investments and Three Link Connection. The people behind it. The founder of both scams, Daisy Mogale, was prosecuted in South Africa for the Young Star Investments scam but it seems like she’s at it again. Knowing she’s been exposed in South Africa she seems to have moved her attentions to us instead. So far I’ve heard from nearly 20 people who’ve had the courage to come forward and confess that they’ve been scammed by this new scheme. Several of them have told me that they know of plenty of other people who’ve fallen victim as well. That’s been my experience of scams. For every person courageous enough to come forward and talk about how they’ve been scammed there are several others who are either too ashamed or embarrassed to come forward and talk about it. So what does Daisy Mogale have to say about her scam? Let’s ask her. One of the local recruiters for Three Link connection, who has presumably now realised it’s a scam and that they’re complicit in stealing people’s money, gave me Daisy’s cellphone number and I gave her a call. Once she stopped shouting at me down the phone and demanding to know who gave me her cellphone number she gave me her reaction to the complaints we’d received. So there we have it. Three Link Connection is legitimate and all of us in Botswana are liars. We know this because my new friend Daisy said so. She wouldn’t lie about this, would she? After all, why would we think she’s a liar? We can’t hold her previous history of scams against her, can we? Daisy wasn’t the only one accusing a customer of lying. I heard a long story from someone who had bought a car from a supplier in the UK. She paid the local agent a large amount of money for a car he’d shown her online. The problem is that when it eventually arrived it wasn’t the car she ordered. The same model but a different registration number. There were other issues but the basic fact is that the car that was delivered was not the one she ordered. After some argument she rejected it. Unfortunately the local agent wasn’t too helpful. She could only have her money back when they find another buyer for the vehicle. She’d have to wait. So the reaction when I contacted the local agent? He accused me of blackmailing him, implied he’d sue me and said that the buyer was telling “a lie”. Bad move. A seriously bad move. I’m obviously not blackmailing him, I’m just saying that the sort of person who immediately accuses his detractors of lying does not deserve anyone’s money. I have been admitted at Atlantic International University, (900 Fort Street Mall, Honolulu, Hawaii) to study masters degree in engineering through distance learning. What I want now is for you to help me confirm if the school is not fake. So it’s not actually accredited. Amusingly, the agency that they claim has accredited them is itself not a real accreditation agency. Roughly translated that means that AIU is a fake university accredited by a fake organization. Simple as that. Degrees from AIU are therefore worthless and won't be recognized in Botswana. You shouldn’t waste your money, your time or your reputation. You should also realize that if you ever got a job or a promotion using a fake degree like theirs you’d be a criminal. You’d have committed a fraud against your employer, just like anyone who obtains a financial advantage by lying. A final question. Why, if they are based in Hawaii, do they call themselves "Atlantic International University"? Hawaii is in the Pacific Ocean, not the Atlantic. Is it perhaps because the name "Pacific International University" has already been taken by another diploma mill? In December, I made a laybye at a shoe shop for 3 pairs of shoes. Each pair costs P350. On 27th December they phoned me to collect my shoes which I did. On the 8th of January, I went back to the shop because two of those pairs sole were coming out. It was like the glue was not dry. I showed one of the shop assistants who called the manager. The manager told me that there is nothing they can do because it seems as if its a factory fault, and since they get their stock from Cape Town its not easy to take them back. Then she asked me to take the shoes to the repairers and bring back the receipt of which I did. When I got to the repairers they told me that I am not the first customer from that store with the same problem, but they managed to help me to replace the whole sole and the elastic. I was charged P147 to replace the sole for 2 pairs and P39 for the elastic. I took back the shoes to them on 6th Feb where I met a different manager who told me that she doesn’t know anything about my issue and that I should check the one I spoke to earlier on in the afternoon. I couldn’t make it that afternoon and on Thursday 7th February I went there and found her. She said she can’t remember telling me to fix the shoes and that she is phoning her director which she did. After phoning her Director she told me that there is nothing they can help me with because that is not company policy. I’m amused when I hear of companies who think they can adopt a policy which says “We will ignore the law”. Frankly I don’t care about this store’s problems with returning goods to the suppliers in Cape Town and nor should you. You bought these shoes from the store in Gaborone, it’s the store in Gaborone that needs to fix the situation, not anyone else. Who they send the shoes to for repair or replacement is not your concern. OK, perhaps it IS your concern when a store ignores it’s responsibilities to it’s customers. You’re the one left without your shoes. It IS a concern when a store ignores Section 13 (1) (a) of the Consumer Protection Regulations which require them to sell products “of merchantable quality”. The Regulations explain that this means “fit for the purposes for which commodities of that kind are usually purchased”. In other words shoes are meant for walking in so that’s what they should do. They shouldn’t fall apart within just a few days. If they do, then you deserve one of the “3 Rs”: a refund, replacement or repair. Saying “it’s not our policy” is not one of the “3 Rs”. With you permission I’ll get in touch with the store and politely explain that they need to think again about their approach to faulty goods. Wish me luck! Several sites, mainly those in the "High Yield Investment Program" (i.e. Ponzi scheme) arena, are speculating that Eurextrade has collapsed. HYIP-Pulse "Eurex Trade / ECCPUB is gone"
Money News Online Blog "Eurextrade - Vanished without trace"
Cycles and HYIP's Programs "Eurextrade is in problem status". Their web site appears to be down. Just a glitch or something more? Is this the end of this particular Ponzi scheme? An episode of First Issues about us! An episode of First Issues on fake qualifications. An episode of First Issues on Christmas Budgeting. I’ve had a brilliant idea. It’ll solve all our problems. Ban pens. Ban ink as well. Ban anything that can be used to sign a contract. I think the time has come to seriously consider whether we are grown up enough to sign contracts. Frankly I’m becoming a bit impatient with the number of people who come to Consumer Watchdog who find themselves the victims of the contracts they signed. The worst part is that none of these people were forced to sign them. Nobody was holding a gun against their heads, their children hadn’t been kidnapped and nobody had compromising photos of them in embarrassing situations. They had all signed them voluntarily. The only forces that had impelled them to sign were desire, pride or naivete. Oh, a dose of abuse as well. The first thing that inspired us to start Consumer Watchdog, nearly ten years ago, was store credit. The most outrageous element was, of course, the interest rates that certain stores then charged. Some still do charge shocking interest rates but the most extreme cases appear to have gone away. What’s more in those days the stores didn’t even say what the interest was going to be and nor did they disclose the total amount that had to be repaid on credit. When we told them about the Control of Goods (Marking of Goods) Regulations 1974 which required them to disclose the total amount repayable they quickly changed the way they advertised. Well some of them did. Others took a bit longer to OBEY THE LAW but they do these days. What also affected us about store credit agreements was the contracts the store’s victims, sorry I mean customers, were signing. One that I saw included a clause that said the customer had received the goods, had inspected them and that they were satisfactory. But this was the contract the customer signed IN THE STORE, before they had even paid for whatever third-rate goods they’d bought, perhaps a week before they had been delivered. They would never be able to reject damaged or incorrect goods. That was abusive. Another contract, one full of incomprehensibly long words, included a clause saying that the customer confirmed that he or she understood the contract perfectly and vowed never to claim otherwise. Even if it was full of terms like “domicilium citandi et executandi” which virtually nobody understands, the customer could never, in theory, say they hadn’t understood it. Then there was the worst thing the stores did, something that some of them still do. They won’t let you take the contract away to read it before you sign it. A couple of years we sent some mystery shoppers into all the furniture stores pretending to be customer looking to buy things. Each of them asked if they could see the contract they would be asked to sign. Each of them said they wanted to read it overnight before they made a decision. One store allowed this. Just one. Others said things like “You can read it when you sign it, then you can keep a copy”. Others said “You get a copy when we deliver the goods”. Others just said “No”. Why would they do this? Why wouldn’t they allow their customers to read the contract themselves or show it to their partner, parents or friends? You know why. They didn’t want their customer to know the terms they were agreeing to. They were ashamed to show their customer the contracts. They knew they were abusing their customers and they didn’t have the backbone either to confess this or to behave more decently and write less offensive contracts. Some of these problems have gone away. Other have not. There are still stores that try and abuse customers using the contracts they need to sign in order to buy things. That’s one very good reason why we should stop signing them. Let’s, whenever possible, stop signing store credit agreements. Let’s be sensible. Let’s buy second hand things sometimes, let’s look in a certain free advertising magazine for expat leaving sales and get a few bargains instead. Let’s save up and buy for cash instead. There is another reason why we shouldn’t sign contracts. Some of us don’t seem to know what a contract is. Let’s start from the beginning. 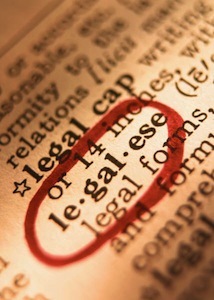 My dictionary defines a contract as “a written or spoken agreement … that is intended to be enforceable by law”. Perhaps the key word is “agreement”. Two responsible parties agree, willingly, freely, without coercion and in the full knowledge of what they’re doing, to exchange some things. The store gives you a fridge, you give them some money. You know what fridge you’ll get and when, they know how much money they’ll get and when. Most store credit agreements are different. Most of them undermine the whole basis of the contract by being deceptive. Sooner or later someone’s going to end up in court and defend themselves by proving they had been lied to. On other occasions I think people just shouldn’t sign things because they just don’t think they need abide by them. I got an email recently from someone complaining that their landlord wouldn’t let them terminate their lease before it expired after two years. She understood that there was no termination clause in the lease but still wanted a way out. The landlord has offered her the chance to find another tenant but she hadn’t been able to find one who would take over the lease. She asked us “Is the no law that protects the lessee in such a situation?” Yes, there is. It’s called the lease that you signed. A contract is a contract. You can’t just walk away from them without some sort of cost. It doesn’t matter whether it’s a lease, a store credit agreement of even a marriage. You’re stuck with it. So just don’t sign it in the first place. I moved in to a house last year July 2012, then by end of the year I gave my landlord notice of a month and told her that we can no longer afford to stay in her house as we can't afford it. She informed us that the lease was for two years and had no exit clause, that’s no notice on it. We discussed and agreed that she keeps the two months deposit and we shall also pay the estate agent's fee to find her a new tenant. We got three people interested in renting and she selected one. She delayed from her end in formalising the lease and as a result the prospective tenants declined. Now she still insist that we continue to pay her rent. None of the estate agents want to work with her as she is difficult. How am I supposed to get her a tenant when the estate agent don't want to deal with her. Is the no law that protects the lessee in such a situation? I'm sorry to hear of your trouble. However I don't think there's much help I can offer. The key fact is that you voluntarily signed a 2-year lease without an early termination clause. You are committed to that agreement. It's normal practice to allow a tenant to find a replacement tenant if they want to leave early but there's not much I can suggest if your landlord is unreasonable and makes it too difficult for a new tenant to take over. It might be useful if you tried to assist in getting the new tenant’s lease agreed with the landlord. Anything you can do to make that happen will help you to move on. I certainly suggest that you keep trying to find a new tenant. I’m truly sorry I can't be of more help but this is a valuable lesson from with others might learn. Only sign a contract like this if you are 100% certain that you can stick to it. It doesn’t matter whether it’s a property lease, a mortgage, a store credit agreement or even a marriage. If you think there’s a risk you won’t be able or willing to stick to it then don’t sign it and walk away! I contacted a UK company for an iPhone 5 by email. On the same day I got a reply email from Robert Wortley who said they could ship it for me If I pay the total fee of $500 plus an additional $50 for shipment costs and I would receive the package in 2 days time, he said I should pass the payment to Western Union and upon confirmation of payment I would receive a tracking number to monitor my package till delivery. I asked if they have a branch back here but he said its in the UK and as confirmation of payment I would receive the tracking number and be fully refunded if there is a problem, but my main question is from whom? The guy contacted me thrice on my mobile and the number was hidden strangely but the quality was poor I guess due to the network, first he called me at around 9pm on Sunday local time then again on Monday at 11am local time and again at 1pm, asking whether I would make payments today or not I told him I would reply as to when I would pay. Due to the different times he called don't you think its strange business hours due to time zone differences or he is just an over zealous business man? So is this company legit? I don't trust them for several reasons. Firstly this “company”, calling itself “Mobile 9 Ltd” operates solely using a Gmail account. Real businesses don't do this, they have their own domain. 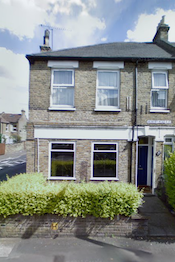 What’s more, the address they give, “252 Albert Road, Leyton, London” is a private house, not a business address. So, no real addresses. Why don’t they have a phone number? They don’t even seem to disclose a cellphone number which is even more suspicious. Secondly if they're a UK-based company why are they charging in US dollars? There IS a company registered in the UK called "Mobile 9" but its registered address is in Birmingham, 200km away from the address given in London. Yet another indication that you should be very careful. Finally, I simply don't trust ANY company that uses Western Union as a payment mechanism. Real companies have bank accounts that you can send money to. It sounds to me like they’re trying to hide their location from you. One last thing. I did find a phone number for the people you spoke to. Curiously this was a number in the United Arab Emirates, a very long way from London. In summary there are just too many warning signs here. I don’t trust them. I think you're lucky not to have sent him any money! The Head Office reception staff at BOMaid and the staff at Café Portugalia at Game City in Gaborone, both for their friendliness. The Botswana Guardian ran a story in late January about the Eurextrade Ponzi scheme entitled "Batswana lose millions in another investment scam" which you can see here. The following week another story ran entitled "Batswana rebuff warning against scam" which you can see here. “Ponzi schemes are scams that pay initial investors with proceeds from new investors under the guise that they are making an actual business investment, when in fact the underlying business is non-existent or unsuccessful. Eventually, there are not enough newcomers to pay the existing investors and the scheme falls apart”. You’re not supposed to of course. You’re not meant to judge a book by its cover. You’re not meant to judge people by their appearance. That’s what our Mums told us. You might have heard of the performance group Ma-Rock. 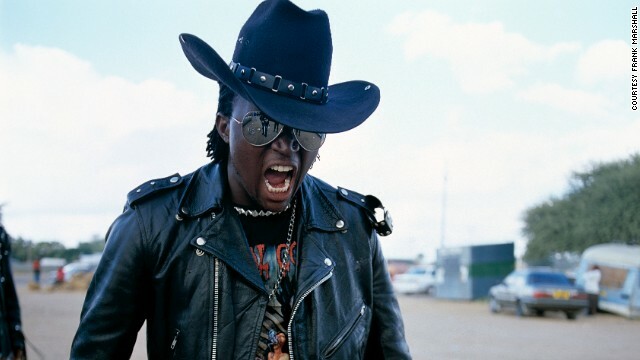 These striking people swagger around in leather, chains and cowboy hats looking exactly like the sort of people that would scare your granny. I saw this group at an exhibition a few months ago and they are certainly striking, so much so that I saw people who appeared genuinely scared by them. But then I briefly spoke to one of them and the difference was astonishing. The young man I spoke to was quiet, thoughtful and intelligent. Far from being monsters they are actually very peaceful and charming. As we all know, we should judge people by the “content of their character” rather than our prejudices about their appearance. However I do think there are occasions when appearance DOES matter. For example, while I understand that almost all businesses have to start small, you and I don’t have to trust a company that operates only from a cellphone number. I think it’s OK to judge a company that sells things and offers services that doesn’t have a landline. I also think it’s OK to judge a business by its email address. A business that operates entirely from a free email address is also not one you should feel obliged to trust. I’ve seen a variety of technology companies advertise their services on Facebook recently and it’s startled me that they openly operate from no more than a Yahoo or Gmail address. Of course there’s nothing wrong with having a free address like these, they’re fine for emergencies when you’re away from the office or travelling, everyone understands that. But using one for your core business just suggests that you’re either cheap or crooked. Or both, like the company who recently announced on Facebook that they were selling Microsoft Windows and Office. When I asked, using one of my many secret identities, I was told they could offer me the top-of-the-range version of Office for a mere P280, less than a tenth of it’s real price. This company with the free email address and lack of landline was selling pirated software, but I think I knew they were untrustworthy already, simply by the way they presented themselves online. I think you can also judge a company by it’s web site. While plenty of companies have rather simple web sites, there are others who have sites that appear to have been designed by a colour blind teenager with a severe psychotic disorder. Language can also be used as a clue. I’m clearly not expecting everyone in business to have a degree in English but when you advertise your services you need explain them in language that is easy to understand. Using long words for no good reason is inexcusable. It’s just showing off and we’re free to judge show-offs. I haven’t changed the spelling, the spacing or the strange use of capital letters at all. My point is that it’s perfectly acceptable to judge this supposed investment scheme by the quality of the English used in their introductory email. Forget that it’s a Ponzi scheme, forget that they’re lying cheating scumbags, forget that they are criminals, just focus on the fact that they can’t type proper. I think everyone knows now that the scheme calling itself EurExTrade is a Ponzi scheme as well. There’s enough evidence other than their ridiculous claims of “up to 2.9%” daily interest. However I think we’re also entitled to judge EurExTrade by the people who recruit on their behalf. Just like you can with the people recruiting victims into pyramid schemes and their not-too-distant cousins, Multi-Level and Network Marketing schemes. I was in a certain spicy chicken restaurant recently waiting for my takeaway when I bumped into a guy who works at a senior level in a part of government that deals in money. He told me that the last time he’d been there he’d been approached by TWO different people who accosted him and tried their best to recruit him into the EurExTrade scam and, therefore, steal his money. Needless to say he was too smart for that and told them where they could put their Ponzi scheme but surely this a very good way of judging a scheme like EurExTrade? You know a scheme is dodgy if people are recruiting in takeaways instead of offices with boardrooms, landlines, fax machines and real email addresses. You can safely judge any investment scheme by the venues they choose to recruit new victims. I suggest that we do this a lot more. Let’s not give in to prejudice but let’s start judging people by the way they present themselves. By all means let’s be a little less stuffy and formal but let’s adopt certain standards. Businesses operate from offices, with real email addresses, with landlines, with tables and chairs and with people who aren’t afraid to explain their businesses plainly and honestly. You can show everyone else the door. The door of the takeaway. I am a high benefit member of a medical aid scheme. Last year I was very ill, resulting from a condition that had not responded to antibiotics I was using from private pharmacies. This led me to being admitted to hospital for almost two weeks. As usual I had to pay about P5,000 as a deposit and when being discharged another P5,000 and the rest of the bill which was about P40,000 was to be paid by my medical aid. Months later, the hospital credit controller contacted me saying that I owe them about P10,000. I have repeatedly told the credit control department to send me an itemized bill of what my medical aid paid and the P10,000 I had paid but they have never done so. Instead they contacted a debt collector. It is not that I cannot pay but I just want the credit controller to tell me which items they want me to pay for so I may ask my medical aid why they did not pay. If I pay the debt they are demanding it will be like footing half the bill which should not be the case as a high benefit member of the medical aid. I will be grateful if you advised me the way forwards! I hate hospital credit control departments, I really do. I think everyone has had problems like yours in the past, although perhaps not as expensive. This is complicated by the three different relationships that exist in this situation. You and the hospital, you and the medical aid and the hospital and the medical aid. It seems in this case all three relationships are broken. The most important one to repair is between you and the hospital. They are, after all, the ones sending debt collectors after you. I suggest that you write them a strongly worded letter, addressed to their Managing Director, stating that you cannot be expected to pay a debt when they cannot prove what that debt is for. Demand a full statement of your account, including every item they think should be paid for. Remind them that a debt that cannot be proved to exist doesn’t exist. Make sure you copy the letter to the debt collectors as well. It’s worth calling the debt collectors as well to say that you are formally disputing the debt. You should then contact your medical aid company (the MD again) and insist that they intervene and help sort this out. Remind them, in case they’ve forgotten, that you pay them lots of money so that this sort of thing doesn’t happen. We’ll also get in touch with the hospital and suggest they fix this. A family friend referred me to a lady who goes to China to buy building material for people as a business. Unfortunately the moment she has taken the fee she charges and your money to buy building material she doesn't care about giving you good service. Before the material arrived I paid her for shipping and duty charges amounting to P15,000 on top of the amount for purchase. She never gave me the receipt and failed to give me a detailed account of how she arrived to that amount. She sends me from pillar to post when I tell her to come and sort my materials and balance them with receipts. The tiles were short, broken, bathtubs very small, doors too big. Moreover, she took the lights back last year November saying that they belong to someone else but never brought mine. I have been trying in vain to make her sort out these problems but she becomes very arrogant and doesn’t want to solve problems she caused. She also took a lot of money from my sister-in-law and cheated her also. Please help because I have spent a lot of money to buy materials which I have to replace. I know it’s too late to say this but this is the risk you run when buying things from overseas. At least when you buy things here or somewhere close like South Africa you can go and inspect the goods yourself before you pay. You can also easily complain if things go wrong. When you deal with suppliers in China you don’t have that luxury. When you deal with unscrupulous people like this lady it only gets worse. If you send us her details we’ll get in touch and remind her that she has obligations. Does she operate a company or does she just do these things in her personal capacity? Either way I wonder if she’s telling BURS about the money she’s making and paying tax on her earnings? Maybe I should remind her about that? I’ll let you know what she says. The staff in the bakery at Pick N Pay Molapo Crossing for being extra-friendly.